Everyone needs to learn to code these days, it seems, and that's why the BBC is funding the Micro Bit project, which will put a circuit board computer in the hands of a million UK kids. 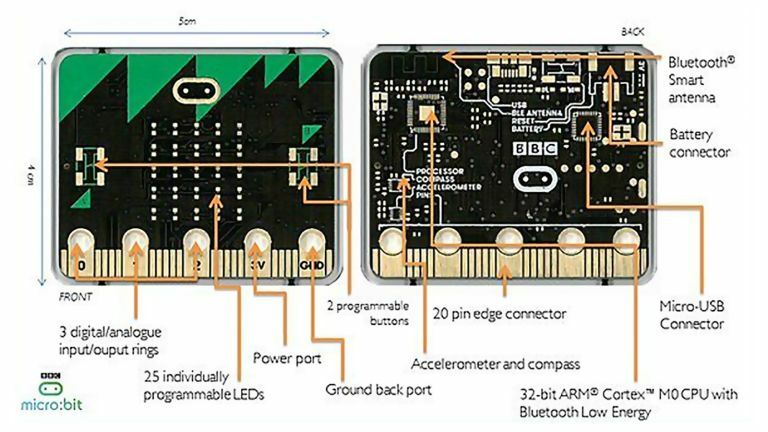 Like a baby brother to the Raspberry Pi, the BBC Micro Bit is a tiny computer measuring just 5cm across. However, it's designed to be used in just about as wide an array of projects as possible. As well as the CPU, it has an accelerometer, compass, Bluetooth, two programmable buttons and 25 LEDs jammed into its back. With the option of AA battery power or power over microUSB, for quirky little homebrew design projects at least, it can actually do more without additional components than a Raspberry Pi. Powerful it is not, though. You won't be turning this palm-sized computer into an N64 emulator. It uses a Cortex-M0 CPU, which only has the grunt to handle pretty basic programming tasks. The BBC Micro Bit will be given to around 11/12 year-olds for free in October: kids in Year 7 as per the standard UK school system. However, it'll also go on sale to the general public before the end of the year. “The BBC Micro Bit is all about young people learning to express themselves digitally,” says head of BBC Learning's Sinead Rocks. While we'd rather play around with a Raspberry Pi 2, we're sure to see some great YouTube videos showing what young coders have squeezed out of a Micro Bit before 2016.